Body measurements were taken using a ruler over the arching of the table rather than a flexible tape measure lying across the arching. This represents more accurately the actual distance from edge to edge as it would appear on a drawing. In all cases the measurements represent the instrument’s current condition. The measurements are in centimeters. 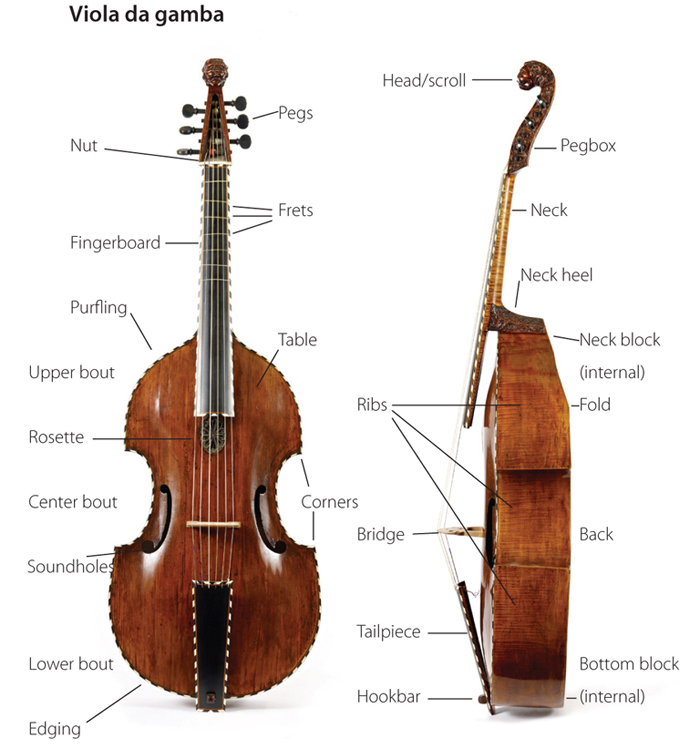 Since the table of a stringed instrument is almost always made from the wood of a coniferous tree, and because it is often impossible to tell with the naked eye the specific species, no reference to the species has been made in the descriptions. The only exception is the use of the German term Haselfichte, which refers to a type of spruce with a distinctive grain pattern. Measured from the edge of the table at the neck-body joint to the edge of the table beside the saddle or hookbar. Upper and lower bouts measured at their widest point, and the center bout at its narrowest. Where the widest point on the upper bout is actually the upper corner this is so stated. Measured from the joint between the rib and the table to the joint between the rib and the back. The fold measurement is taken at the point where the back starts to slope toward the neck heel. Measured from the joint between the top nut and the fingerboard to the top edge of the bridge facing the fingerboard. In our days as serious collectors of Art Nouveau, we were advised by a major collector that the best way to build a world-class collection was to sell annually the bottom ten percent of one’s collection and use that money to buy one great piece. We found we could never do that. Both sentiment about the experience of purchasing each piece and really loving the pieces at the “bottom” kept us from engaging in that fiscally wise, but emotionally cold, process. We actually tried for a few years (at the same time we were building the viol collection) to deal in antiques. We even were looking for places to rent a shop. But we eventually realized that it was not in our makeup to buy and sell with impunity. However, sometimes it is necessary to cull a collection in order to improve its focus. The following list is the result of that activity. Almost all of the instruments were sold in order to buy something else that was more desirable for the collection as a whole. We always have tried to find the perfect person for each instrument and never handed instruments over to a dealer to sell. The most painful sale was of the Ouvrard seven string viol when we had to buy the viol that we sensed belonged to the head that we had owned for so many years (see no. 2). The story of finding the Ouvrard is worth telling even though the viol now belongs to our good friend and colleague, Mary Anne Ballard. Jim and I were on a quick trip to Europe in the summer of 1970. We spent a week in Paris and a week in London. On our arrival in London we were both stricken with food poisoning and taken to an isolation hospital because the authorities thought we might have typhoid fever. We were kept several days in separate buildings of this hospital until Jim begged the doctors to let us go. He told them that we had not seen the Victoria and Albert Museum yet, and they acquiesced. After the obligatory visit to the V&A, we gathered all our remaining energy to shop on Portobello Road, the major antique district. I still remember sitting on the curb of the street to rest and being stared at by the proper English. We saw a shop with a violin in the window, and although we were concentrating on Art Nouveau at the time, we went in. The dealer was sitting at his desk, speaking on the phone. After looking at the violin, Jim interrupted the dealer to ask if he had any other stringed instruments. The dealer asked if he could be more specific, and Jim answered, “Like a viola da gamba.” Without skipping a beat the dealer picked up his phone again and asked the caller, “Isn’t your viola da gamba for sale?” His wife was Joy Hall, a professional player in London. She had just turned the Ouvrard over to Tony Bingham to sell, so this was, in fact, how we met Tony and started working with him. That was one of those moments that changed our lives. Jim owned six viols when I met him. He had found a set of four Sprenger instruments (a treble, two tenors, and a bass) in 1964, and I learned to play on one of the East German instruments that were brought to the West variously bearing the names of Heinrich, Zeitner, or Zolch. He had also commissioned a highly decorated lyra viol in 1965, whose sound unfortunately did not match its beauty. We have continued to use the matched Sprenger tenors in the Oberlin Consort of Viols. We found the Sprenger treble from 1935 in Frankfurt, where it was made. It is a beautiful instrument, made when Eugen Sprenger Sr., a fine maker, was working with August Wenzinger and others to copy historical models. 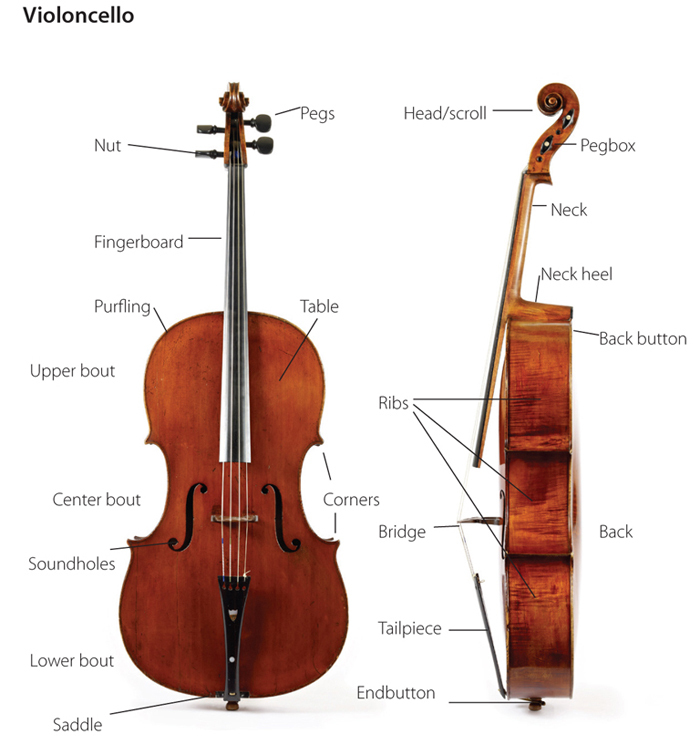 My first baroque cello, a Sprenger now owned by Oberlin College, was also a product of that time. 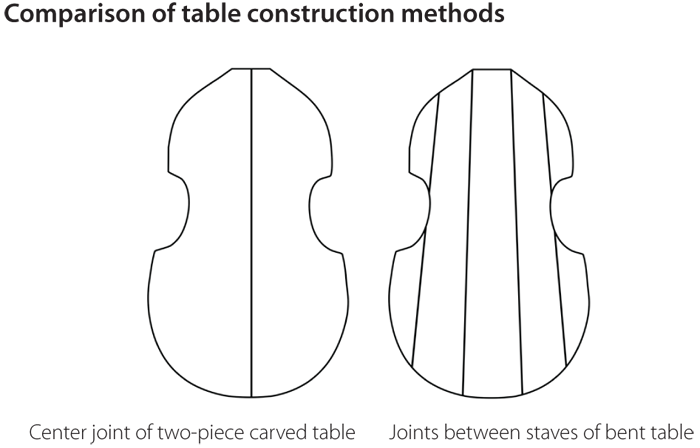 The third, unlabeled Sprenger treble viol was bought by my mother, who, after we pressed her to learn the viol, became an enthusiastic player. Michael Heale made a beautiful copy of the anonymous French treble when he was restoring the original. We have often used it in the Oberlin Consort of Viols. The Garavaglia cello was made at the request of Daniel Draley so I would have a modern cello to take on orchestra tours and play at the Blossom Festival, the Cleveland Orchestra’s summer venue, instead of exposing the Amati to the risks of travel and outdoor performance. It served that purpose very well, and since my retirement from the orchestra I have put gut strings on it and lend it to students for use as a classical-style cello. Breaking the Ground: Music of Christopher Simpson’s The Division-Viol.